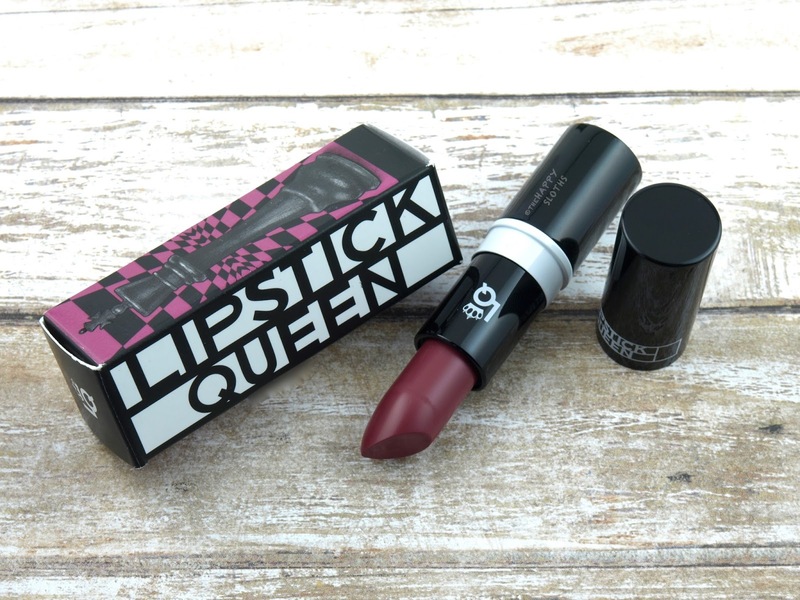 Lipstick Queen Lipstick Chess in "King"
The Lipstick Chess lipstick in "King" comes in a sleek monochromatic packaging. The black metal case is housed in a cardboard box covered with some unique artwork depicting a king chess piece. 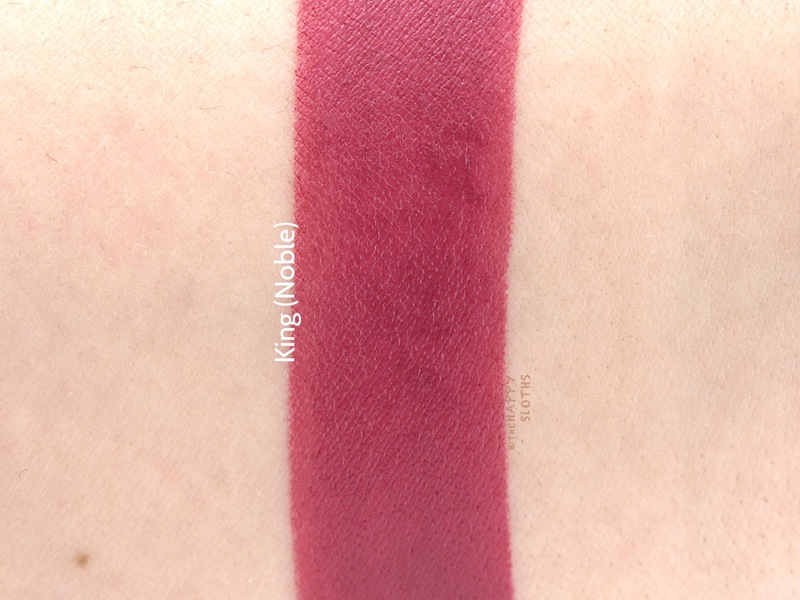 King is a gorgeous deep magenta with a satin-cream finish. 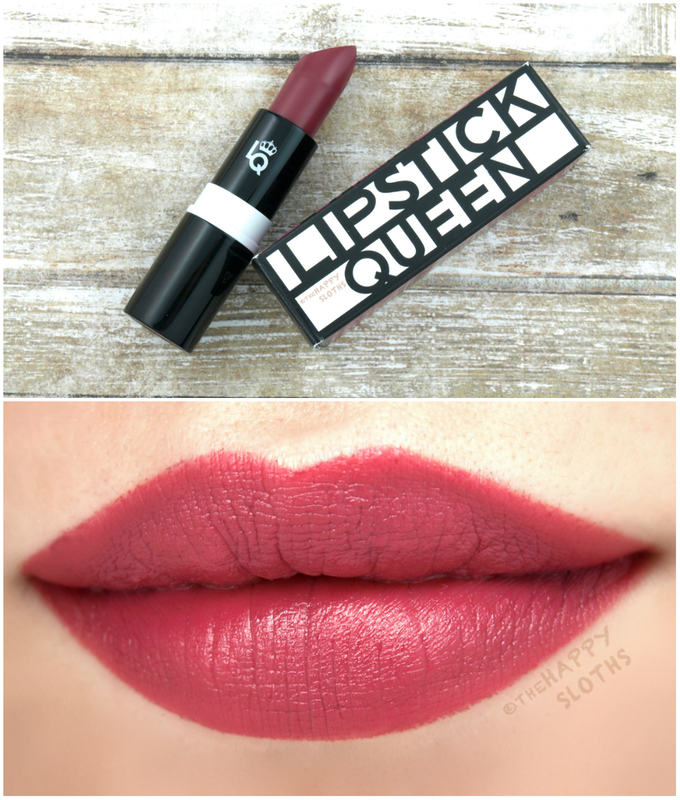 The formulation is decently pigmented but like the previous Lipstick Chess shade I reviewed, it isn't completely opaque so you are going to experience some issues with obtaining that perfectly-lined look. For this shade, in particular, I would definitely recommend using it with a lip liner or at least a lip brush to make sure you get that clean outline. Because the lipstick is infused with natural oils and vitamin E, the wear is very silky and non-drying. In terms of longevity, the lipstick does okay. With minimal eating or drinking, you should get at least four hours of flawless wear. The Lipstick Queen Lipstick Chess Collection is available starting February 2017 at Murale in Canada.